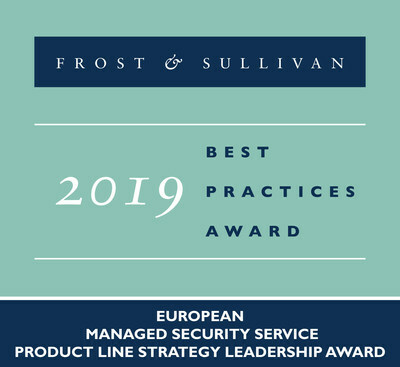 LONDON, March 19, 2019 /CNW/ -- Based on its recent analysis of the European managed security services (MSS) market, Frost & Sullivan recognises NCC Group's Fox-IT with the 2019 European Product Line Strategy Leadership Award for its comprehensive product line of cyber threat management systems. From basic setups for small to medium sized business (SMBs) up to military-grade security architecture, its solutions scale with the needs of its clients. Of particular note are the services offered to SMBs. Fox-IT has set up an educational outreach programme called Fox-IT Academy to help SMBs build cyber awareness, identify their critical technological assets, and lower their reliance on costly security consultants. This approach enablesFox-IT to serve a traditionally underserved market by optimally employing its well-honed knowledge base, created by an internal team of experienced security consultants.